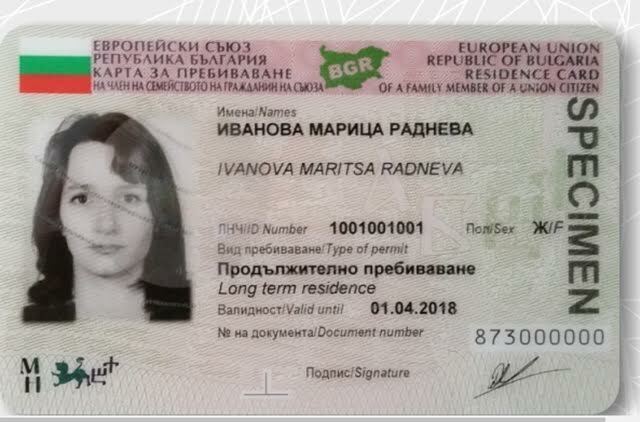 Bulgaria issued a total of 10 958 first residence permits to non-EU citizens in 2017, more than 3000 more than in 2016, according to figures released by European Union statistics agency Eurostat on October 25. A first residence permit means a residence permit issued to a person for the first time. A residence permit is considered as a first permit also if the time gap between the expiry of the previous permit and the start of validity of the new permit is at least six months, Eurostat said. Of the first residence permits issued by Bulgaria, 3615 (33 per cent) were for family reasons, 1267 (11.1 per cent) were for education reasons, 1822 (16.6 per cent) were for employment and the largest number, 4254 (38.8 per cent) were for “other” reasons, according to Eurostat. Bulgaria granted a total of 7942 first residence permits to non-EU citizens in 2016. In 2017, about 3.1 million first residence permits were issued in the EU to non-EU citizens, Eurostat said. The number increased almost by four per cent (or 112 000) compared with 2016. Employment reasons accounted for almost one-third (32 per cent) of all first residence permits issued in the EU in 2017, family reasons for 26 per cent, education reasons for 17 per cent, and other reasons, including international protection, for 24 per cent. The increase in the total number of first residence permits in 2017 in comparison with 2016 was mainly due to the increasing number of first permits issued for employment reasons (up by 155 000, or 18 per cent), family reasons (up by 49 000, or six per cent) and education reasons (up by 30 000, or six per cent), whereas the number of first permits issued for other reasons decreased by 123 000 (-14 per cent). In 2017, one out of five first residence permits was issued in Poland (683 000, or 22 per cent of total permits issued in the EU), followed by Germany (535 000, or 17 per cent), the United Kingdom (517 000, or 16 per cent), France (250 000, or 8 per cent), Spain (231 000, or seven per cent), Italy (187 000, or six per cent) and Sweden (130 000, or four per cent). Compared to the population of each EU country, the highest rates of first resident permits issued in 2017 were recorded in Malta (23 permits issued per thousand population), Cyprus (22), Poland (18), Sweden (13) and Luxembourg (12). For the EU as a whole in 2017, 6 first residence permits were issued per thousand population. Poland (597 000 permits, or 59 per cent of all permits issued for employment reasons in the EU in 2017) was the top country for employment related permits. The United Kingdom (180 000 permits, or 34 per cent) was the top country in the EU for education related reasons. With over 100 000 permits each, Germany (157 000, or 19 per cent), Spain (126 000, or 15 per cent), Italy (113 000, or 14 per cent) and the United Kingdom (101 000, or 12 per cent) were the four EU countries with the highest number of permits issued for family reasons in 2017. Germany was also the top country in the EU for other reasons with 277 000 permits (36 per cent), issued in 2017, of which the majority were for refugee status and subsidiary protection (248 000) and protection for humanitarian reasons (21 000). In 2017, in 11 EU countries, the largest numbers of permits were issued for employment reasons, with the highest shares observed in Poland (87 per cent of all residence permits issued in the member state), Lithuania (74 per cent), Croatia (72 per cent) and Slovenia (62 per cent). In 10 EU countries, the main reason for issuing residence permits was family related, with the highest shares being recorded in Italy (60 per cent of all residence permits issued in the member state), Spain (54 per cent) and Belgium (51 per cent). Education was the main reason in Ireland (58 per cent of all residence permits issued in the member state), the United Kingdom (35 per cent) and Romania (34 per cent).